Whole Body Fat Loss Review (2019)- Lose 30 pounds in 30 Days? 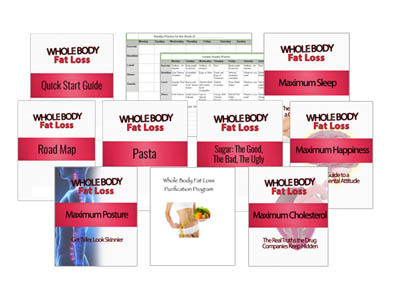 Whole Body Fat Loss Review – Lose 30 pounds in 30 Days? I’ll get right to the point here – the title page of Whole Body Fat Loss says it’s “Your definitive guide to maximum fat loss.” That’s a pretty bold statement. Lost of people want to lose weight, and many of them struggle to do so. It’s work. It takes time. And every book seems to have different, and sometimes conflicting, advice about what you need to do to shed those unwanted pound. Along comes “Wes,” who says he has the definitive method to allow you to easily lose anywhere from ten to thirty pounds in just 30 days. That sounds impressive, and anyone who has been struggling to lose weight would probably find that interesting. Is Whole Body Fat Loss a scam? Read on for the full Whole Body Fat Loss review. 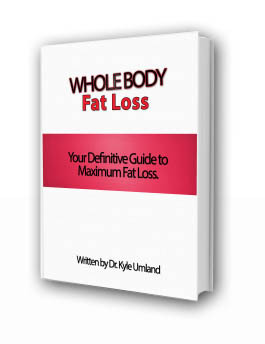 Whole Body Fat Loss is sold as a downloadable PDF ebook, which is convenient. The format allows you to download the book at any time of day and you can read it on a computer, laptop, tablet or even a smartphone. That makes it portable and the easier it is to read, the more likely you are to read it and put it to use. I looked over a few of those, but didn’t take the time to read them all. The Quick Start guide is probably the most useful, as it provides a brief list of the foods that are acceptable and unacceptable under the Whole Body Fat Loss diet plan. The Weekly Planner is a chart for you to fill out to keep track of your meals. The Whole Body Fat Loss Road Map is probably the most useful of the bonuses, as it contains the information that should have been in the Quick Start guide. It includes specific instructions for what you should do and in what order. It provides a sample meal plan, as well as a number of recipes. 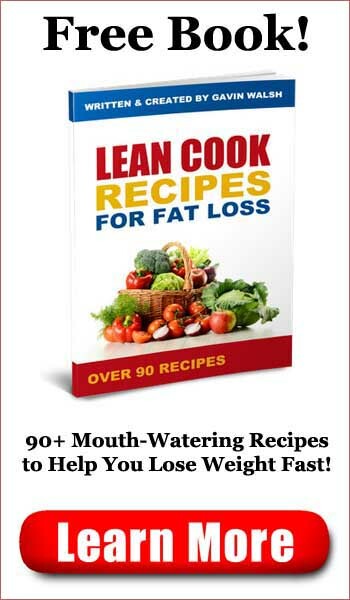 While the Whole Body Fat Loss Road Map is fairly brief, at just 25 pages, it might be the most useful book of all of the ones included in your purchase. 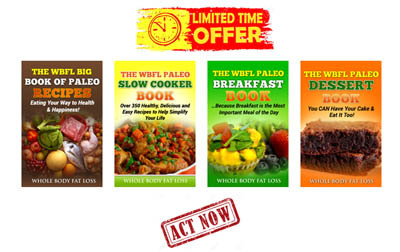 There’s also an upsell if you decide to purchase the Whole Body Fat Loss plan, and that’s for the Whole Body Fat Loss Big Book of Paleo Recipes, along with three other related books in the Paleo diet niche. The Paleo diet is quite popular these days, and involves eating unprocessed foods and avoiding dairy and grains. Many people swear by the Paleo diet, and it’s easy to adopt if you have the right cookbook. The sales page for Whole Body Fat Loss includes an hour long video from “Wes,” the creator of the product, and oddly enough, it’s the exact same video that he uses to sell another weight loss product he offers for sale called Fat Diminisher. Fortunately, you don’t have to sit through the entire video unless you want to, as the order button is right there below the screen. I mention Wes because oddly enough, he is not the author of the Whole Body Fat Loss book. That would be someone named Dr. Kyle Umland. I looked up Dr. Umland, and he appears to be a chiropractor by trade. That doesn’t mean that he doesn’t know anything about losing weight, but I just thought I’d mention it. The bulk of the Whole Body Fat Loss book talks about human metabolism and how the body stores and processes fat. The Whole Body Fat Loss plan itself outlines the sorts of foods that you should eat and the kinds that you must avoid. These include most carbohydrates, most sugars, and most fats. This is a fairly lean fat loss diet. Each chapter begins with a motivational quote, and that’s good, because lack of motivation is what prevents most people from seeing success when they try to lose weight. The plan itself gives you several categories of foods, such as proteins, carbs, and vegetables, and you’re allowed to eat one item from each group at each meal. You can eat anywhere from 3-5 meals a day, and the portions are not regulated. You may eat until you are full. You’re even allowed one day to cheat each week. There’s a “Ninja” version of the program that allows you to speed up the fat loss by introducing moderate exercise and a few other “tips” that might help you lose weight faster. Like most diet books, Whole Body Fat Loss recommends that you drink a lot of water each day and get some moderate exercise. This is always sound advice. One day a week to cheat! Is Whole Body Fat Loss a scam? No, but it sort of falls in the middle of the pack among diet plans I’ve reviewed. It gives some good advice about the kinds of foods to eat, but leaves it up to you to decide how to prepare them and to decide how much of each food to consume each day. The exercise plan is vague, though the bonus books do help fill in some of the gaps. On the whole, the entire program seems to have been rather hastily thrown together. Can you lose weight with the Whole Body Fat Loss plan? Perhaps, though there are better plans available. Whole Body Fat Loss is rated so-so. 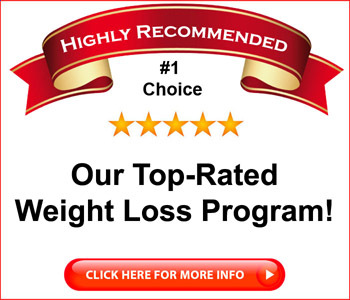 Click here to visit the Whole Body Fat Loss Website.